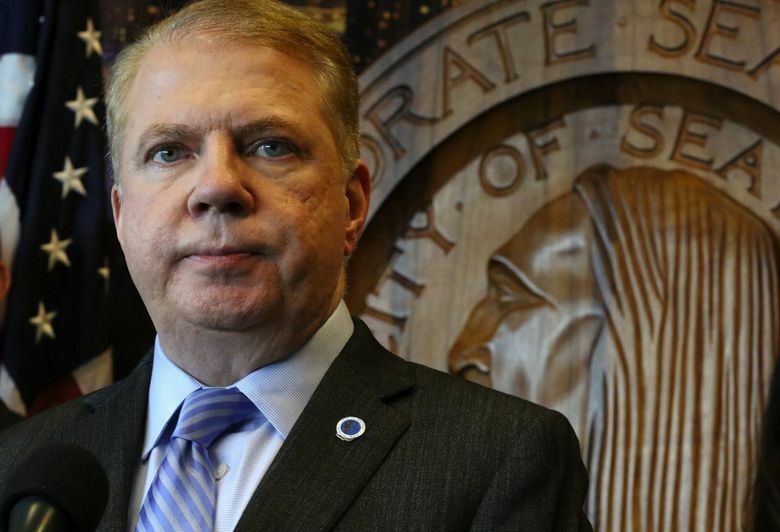 Seattle Mayor Ed Murray wants to spend as much as $6.5 million in the coming years to make the first year of community college free to graduates of some city high schools. The city of Seattle could spend as much as $6.5 million in the coming years to expand a program that promises students who graduate from certain public high schools a free year of community college. The 13th Year Promise Scholarship Program, as it is called, gives students a first free year of community college, regardless of family income. It also provides support services to help them academically during their first year. The program has been offered for several years to graduates of three Seattle high schools — Cleveland, Chief Sealth International and Rainier Beach — to attend South Seattle College. Under the proposed expansion, students who graduate from West Seattle High starting in 2018 can also get a first year free at South Seattle College. In addition, Seattle Central and North Seattle College will each begin offering a free first year of college to the graduates of one high school located nearby. The high schools that will be added to the program haven’t yet been identified, community-college officials said. The city will spend $750,000 in 2017, and another $750,000 in 2018, to help with operational costs to expand the program. That money is included in the city’s general- fund budget. The program would expand still further, with an additional, one-time $5 million investment, if Seattle Mayor Ed Murray’s proposed two-cents-per-ounce tax on sugar sweetened beverages is approved by the City Council. That money would be placed in an endowment to cover tuition costs for future students. If the soda tax passes, it would mark the first time that a government agency has put money into the 13th Year scholarships. Up to this point, the $7.6 million that has supported the scholarships has been raised privately through the South Seattle College Foundation. The scholarship program was inspired by research from the Washington State Board for Community and Technical Colleges, which shows that high-school graduates who attain a year of college reach a “tipping point” in their educations that allows them to earn a living-wage job. Finishing a first year often also encourages them to continue their educations. The program has served more than 500 students since it began in 2008, according to data collected by South Seattle College. The college says it enrolls about 25 percent of the graduating class of the high schools now participating each year. In 2018, it expects to reach about 50 West Seattle High graduates. In a survey, 60 percent of students who participated said they were the first in their family to attend college, and 50 percent said they would not have attended college if not for the scholarship. The students participating in the program were twice as likely to complete a degree or certificate as students who were not part of the 13th Year Promise program. The program reached a diverse group of students; 24 percent of those participating were black or African American, 24 percent were Asian-American or Pacific Islander, and 15 percent were Hispanic/Latino. This story, originally published Feb. 24, has been corrected to include the correct name of the South Seattle Community College Foundation, and to indicate that students participating in the 13th year program were twice as likely to complete a degree or certificate.